It’s been a long time coming, but I finally finished creating an illustration of a Boeing 787-8 Dreamliner. 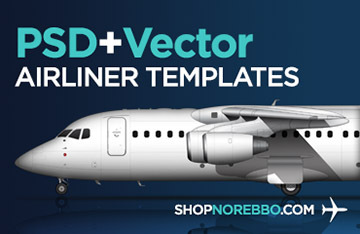 This was the aircraft that I wanted to draw the most when I started creating airliner art last year, but the lack of good reference material held me back a bit. Well, I’m happy to say that I finally got to work on it over the past few weeks and I finished it up this past weekend. 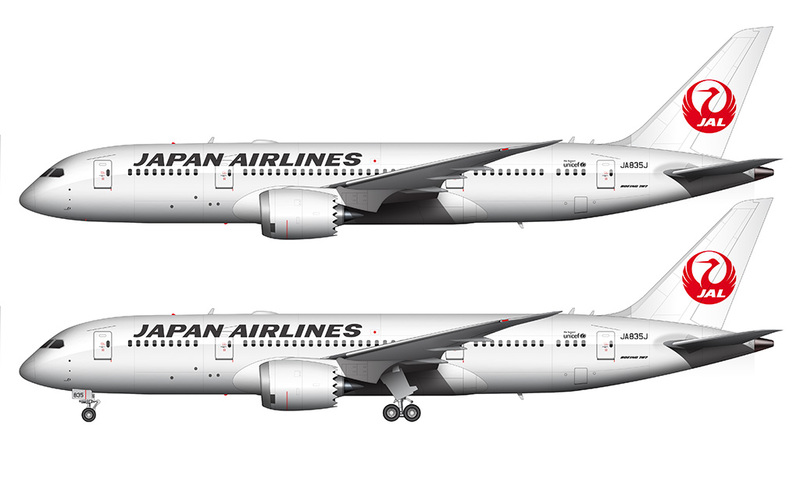 Being a resident of San Diego, I thought it would only be fitting to create a Japan Airlines version of it for my first one, as JAL recently stared nonstop 787 service from Tokyo Narita (NRT/RJAA) to San Diego (SAN/KSAN). Of course it has been put on hold for a while due to the federally-mandated grounding of the aircraft due to the battery issues, and the route is currently being served with 777-200′s. But we will see the 787 back in San Diego soon enough and all of us here are quite happy about that. I’m still not sure what I think about this particular Japan Airlines livery. 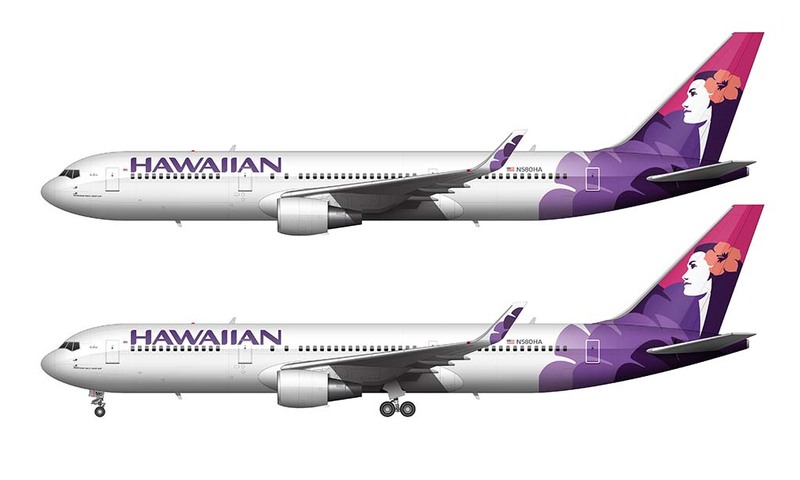 On one hand, I’m thrilled to death that they brought the Crane logo back – but on the other hand, could this livery be any more bland? 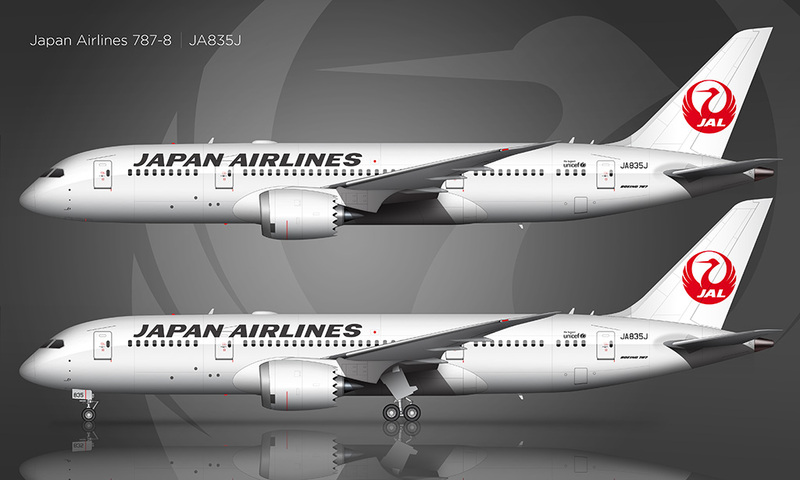 There’s really nothing to it other than the logo and “Japan Airlines” titles applied to a completely white aircraft, and it sure doesn’t even look as if the designer who put this together spent very much time on it at all. 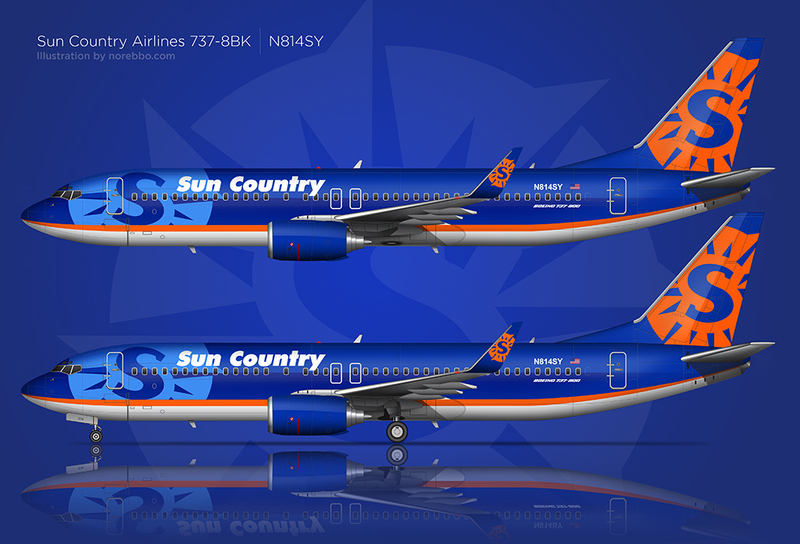 Compare this to the tail of the recently-unvieled American Airlines livery, and you can see what I’m talking about. The designer in me thinks that there could have been so much more to this color scheme, even without going too heavy and bold.